From City of Vodka to City of Beers? What do you drink in Krakow? From City of Vodka to City of Beers? 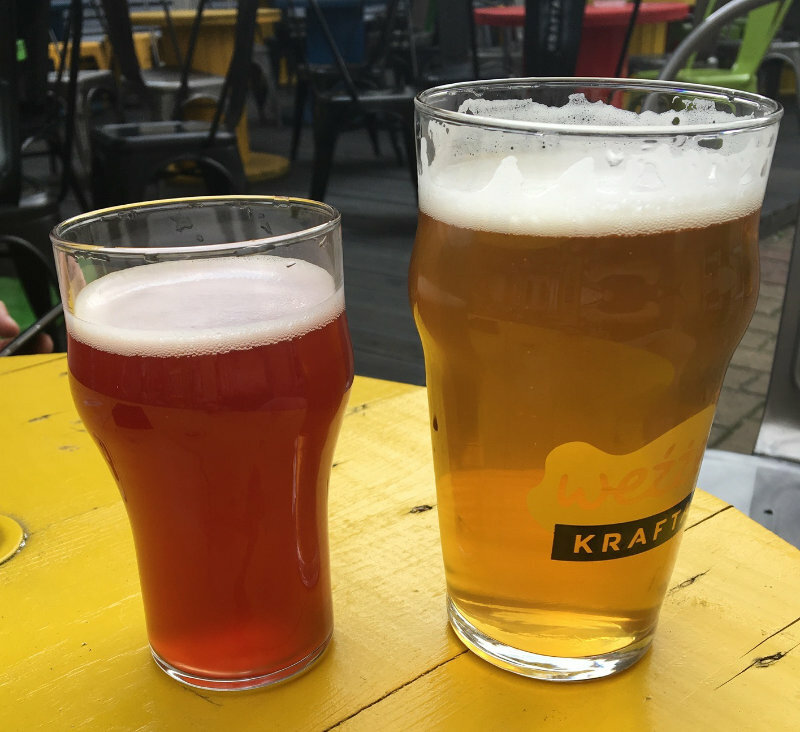 What do you drink in Krakow? Talking to locals one is under the impression that Krakow is indeed a vodka city. 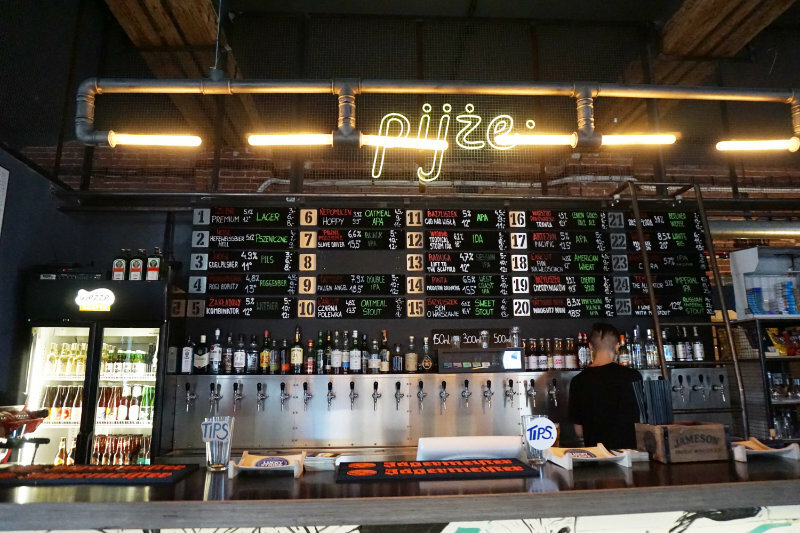 But over time, Krakow developed a vibrant beer culture that cannot be ignored. 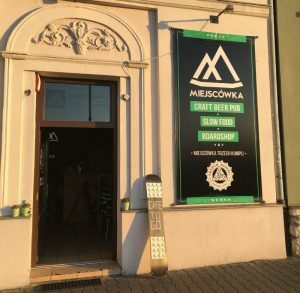 So, is Krakow now a City of Beers? The vodka scene in Krakow is diverse and varied. Many varieties, from Wyborowa, Chopin and Sobieski to Soplica or wisent vodka. The wisent vodka, 40% alcohol, is consumed through a grass straw to give it a very distinct taste. The steppe grass that grows in Poland turns this vodka into something truly special. On our food tour through Krakow, we tasted some exquisite vodkas. Between the pure taste and the flavoured varieties in the Bistro Café Bar Trójkat, I found quite a few flavours that I liked. We found ourselves in bars quite a few times after dinner, where we had pure vodka or vodka shots for 1€ each. Just right for the stomach after the good food we had in Krakow. We noticed a constant change in Krakow that transformed it from a City of Vodka to a City of Beers. A vibrant craft-beer scene is on the rise in the city. Little pubs that serve a multitude of interesting beers can be found all over the city. By accident, we stumbled upon a hip scene on a seemingly pretty shabby property. But it is here, where an array of taverns, restaurants and pubs found a home. Deckchairs and benches cover the area and sometimes it is impossible to know which chairs belong to which establishment. But in fact that doesn’t even matter. You’d like something that A doesn’t serve, go get it at B and sit down at C. No one cares if “their” chairs are only used by “their” customers. We faced a tough decision at the bar. 25 different craft beers at reasonable prices. All you can do is give some of them a try. Sometimes it’s good, sometimes not so much. I went for a cherry beer. Tangy, bitter, red. 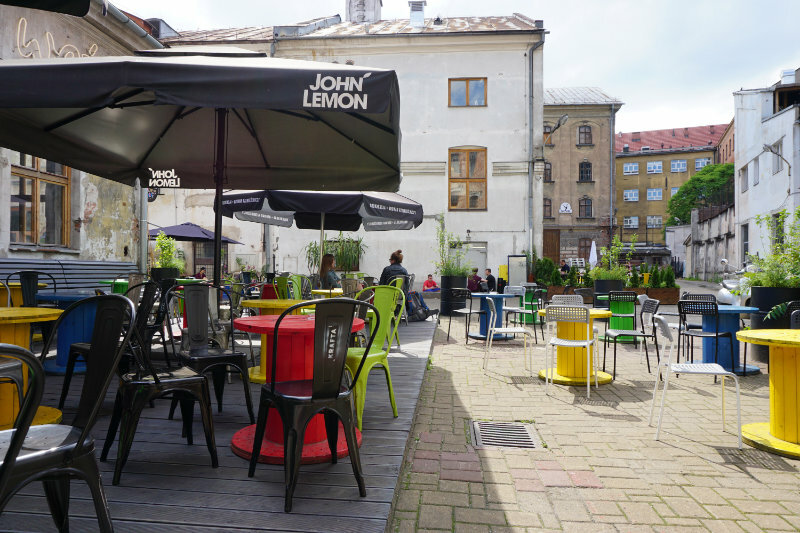 Near the Vistula, we found our favourite pub. We still don’t know if “pub” is the best word to describe it. It offers 12 different craft beers, slow food and skateboards. We enjoyed all of their flavours except for two. We thoroughly enjoyed their 5er tray. A tray with 5 different beers in 0.25 l glasses served on a skateboard. The different colours of the beers were spectacular, and the different flavours catered to all tastes. From dark and bitter beers to soft, almost fruity tastes. Really tasty. Prices for beers in Krakow, even after all our trips to different countries, remain unbeaten at 1 – 1.50€ per glass.